While we continue wrangling with our geometra and trying to force him to do his job, I thought I’d take this opportunity to go back to the start and fill you in on how we ended up living in this ridiculously beautiful part of Italy. We sat down and both said: “This can’t go on.” Actually, I’ve probably taken a bit of creative licence there. It’s more likely that I said “I hate that *! *%$£%&* road. I need a beer” and Allegra said: “Don’t swear in front of the puppy!” But you get the picture. We both knew we couldn’t continue like this. We were tired and stressed. 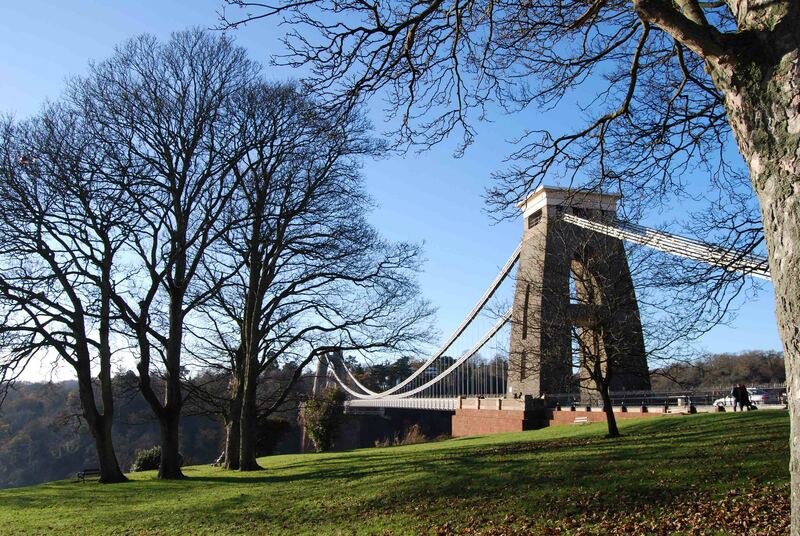 We loved living in Bristol but had stopped loving our jobs. We were spending all our time doing these jobs that we didn’t enjoy simply to pay for us to continue getting to these jobs that we didn’t enjoy. In the months that followed that fateful night, we thought a lot and talked even more. Were there other jobs we could we do? Maybe a business we could set up? We came up with some good ideas and some that were, frankly, dreadful. But there was one that we kept coming back to… quitting our jobs, buying a house somewhere hot and sunny, restoring it and setting up a holiday business. Could we really live here? As ideas go, it was never the most sensible. But it certainly sounded a lot more fun than anything else we could think of. So, we started doing our research. Regions, house prices, building costs, tourism potential, how long we could survive without proper jobs… we filled countless notepads with ill-thought out sums and eventually decided that we could make it work. Just. From that moment we both felt we had to do it. We didn’t want to be sat in our house on another cold, rainy Bristol night in five years’ time saying “What if…”. It was like a huge weight had suddenly been lifted from our shoulders. It was all we could talk about. We were doing this. We were going to jack it all in, up sticks and move to Italy. It was the ‘What if…’ that made us go for it too. I think all the hassle, paperwork, confusion, paperwork etc etc is worth it, to know that you didn’t just complain about things but you actually took a risk. And, hopefully, in years to come when you look back on it, it turned out to be a good move! Exactly… I think that was the ‘no turning back’ moment for us. It would be rubbish to be sat on the same sofa, moaning about the same things 5 years later knowing you could have tried something different. It’s got to be worth a go! Does he have a wife this geometra. ? I don’t know if you read Peter Mayle’s book ‘A year in Provence’. If not, you maybe should. Anyway, invite this geometra and the wife for an aperitif, show her round and tell her what you want to change on the house. You never know what her influence might be. Ooh, you’re an evil mastermind! That’s what I call symbiosis. Well done for taking the big step, fingers crossed that the work starts soon. I’m looking forward to the next chapter of the story. Thanks! I think we might be getting closer to starting no, though I don’t want to jinx it 😉 Being Italy, we have to pay a construction tax before they will let us get started, but hopefully once that’s done we might be ready to go! It was the Bristol factor that first caught my eye – wow, local lad makes good… decision to move away. Just like I moved away from Swindon to France over 40 years ago! (that may be more understandable, given that it was Swindon!) I SO enjoy your blog, and will be following your fortunes. Congratulations on manoeuvering your way through to parenthood while abroad (I know the feeling)…. Now it’s just the house to do – good luck! Thanks so much Ann! One of the hardest parts was actually leaving Bristol. We’d only been there a couple of years but really loved it. Didn’t love the weather so much though. And leaving the M4 behind was a real pleasure! Where in France do you live? I guess wherever it is it’s safe to assume it’s a bit nicer than Swindon!? I’ve lived all over France at different times, but have now settled on the south Brittany coast. Maybe I needed the language challenge, the constant stimulation of living abroad? In any case I married a Frenchman and we’ve been very happy in this country. The irony is that both of my children, who grew up in France, now work in the UK, in London and ….. Bristol !! How about that! Bristol has developed so much in the past few decades, it is a brilliant place to live but I must say when I read your blog I envy you! Italy is a place we choose to visit on holiday (away from our beach house!) – that tells you everything! That’s typical isn’t it… my parents grew up in East London but moved out before my brother and I were born. as soon as were old enough, we both moved back there. My parents couldn’t believe it! I only know Bristol as it is now, but I hear it has changed a lot. I always loved the fact that it’s a proper city and yet you’re surrounded by greenery and you can be out in the countryside in ten minutes. Plus, we lived right by the Downs, which was so nice. 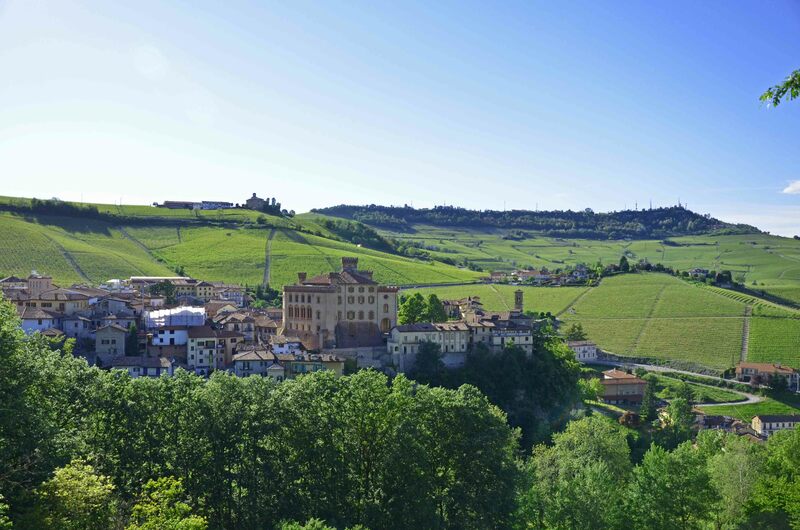 Well, if you haven’t been already, you should definitely add Piemonte to you Italian holiday list! Thanks for sharing this story with us. I am in a similar boat, but my husband and I are taking a couple of years to make the necessary changes to our lives. Like you, we work to live, not the other way around. 🙂 Hope baby is doing well. Richard, I am so glad you wrote this post, because I wanted to know why you picked up and moved! I am so looking forward to the house and business! Are you still going to do a “Holiday Business”? I couldn’t figure out why you were in Milan either! As you can see I am quite keen on following your exploits! I love hearing stories of how people decide to pick up and move to a new country! Your story is fascinating, and I’m looking forward to hearing more. Are you planning on opening a B & B in your newly renovated home (when it’s done, of course)? Thanks! The business side of things is still open to change to be honest… we had a solid plan but the renovations are costing so much more than we originally planned that we’re having to be a bit flexible. The original plan was a five bedroom house to rent for holidays. Somewhere for two families or a group of friends. But it may have to become a bit smaller, for a while at least… There’s nothing like that around here though, and also we’re hoping that we can provide a few added services to make it somewhere between a holiday rental and a B&B. Sounds like a good plan 🙂 In time, it will all come together! Sometimes it just takes a bit longer than anticipated….but the end result will be wonderful! Thanks! I didn’t do it every day, thankfully, and it was kind of my fault for moving so far from work, but yes, it was absolute hell! Hearing the backstory for the first time here. I have been curious, but didn’t want to appear nosy (even though I am) so I’m glad you’ve offered it! Sometimes the least sensible ideas are the best. Not often, but sometimes. Very true… You can be our non-sensible inspiration! 🙂 it was meant to be a compliment! Good luck with your plans. We bought 10 years ago and we think it is the best decision we have ever made. It has not been without problems, but it has opened up a whole new world for us. Thanks for the positivity Debra!